A total of 3,497,286 passengers chose to fly with Norwegian in June, 437,883 more than the same period last year. The total traffic growth (RPK) increased by 44 percent, and the capacity growth (ASK) increased by 43 percent. The load factor was 90.5 percent, up 0.8 percentage points. “Our capacity growth is still high, but it is not increasing as rapidly as previous months, which is in line with our strategy. We have been through a long period of strong growth and going forward we will reap what we have sown for the benefit of our customers, staff and shareholders,” said CEO of Norwegian, Bjørn Kjos. 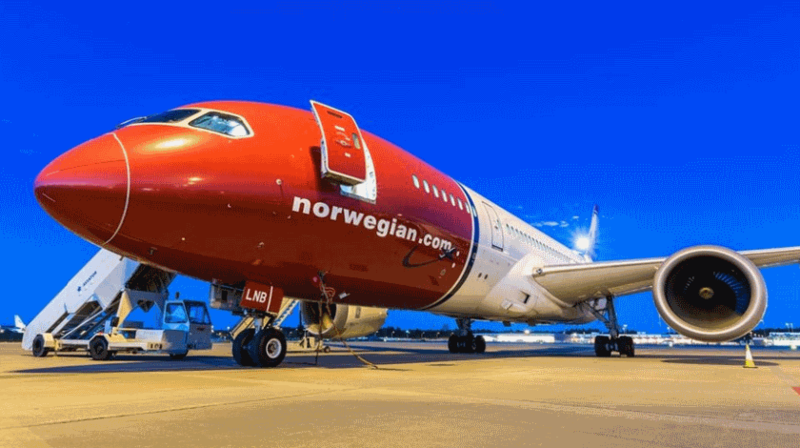 Norwegian operated 99.4 percent of the scheduled flights in June, of which 70.9 percent departed on time. The on-time performance is heavily influenced by air traffic control strikes in Europe. Norwegian’s fleet renewal program continues with full force in 2018. The company took delivery of one Boeing 787-9 Dreamliner and one Boeing 737 MAX 8 in June. In total, this year Norwegian will take delivery of 11 Boeing 787-9 Dreamliners, 12 Boeing 737 MAX 8 and the two Boeing 737-800 aircraft that have already been delivered. With an average age of only 3.7 years, Norwegian’s fleet is one of the world’s “greenest” and most modern. Αναρτήθηκε από geop στις 3:54 π.μ.